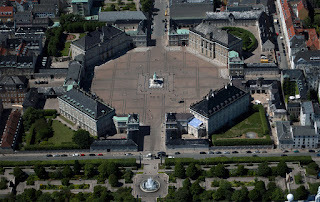 The historic private rooms of King Christian IX and Queen Louise have been recreated in Amalienborg’s Christian VIII’s Palace Museum [upper right in the aerial view below]. 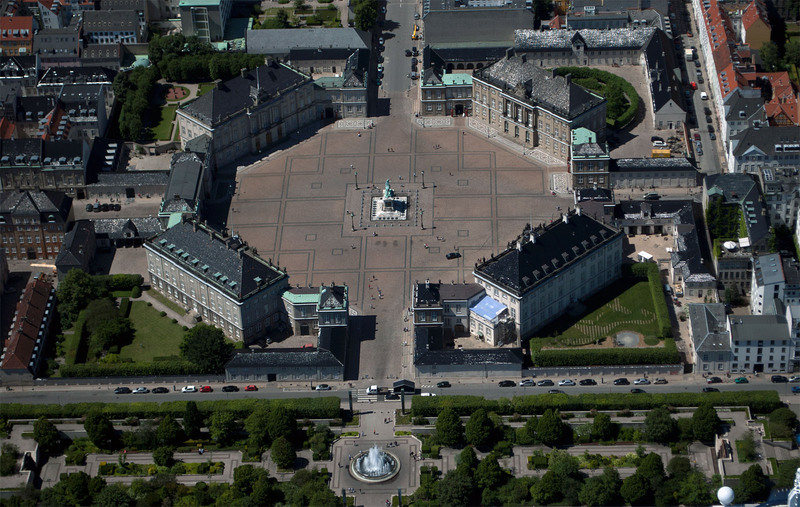 The Crown Prince and Crown Princess of Denmark live in Amalienborg’s Frederick VIII’s Palace [lower right in the aerial view]. A book on its restoration was published eight years ago with many photographs. 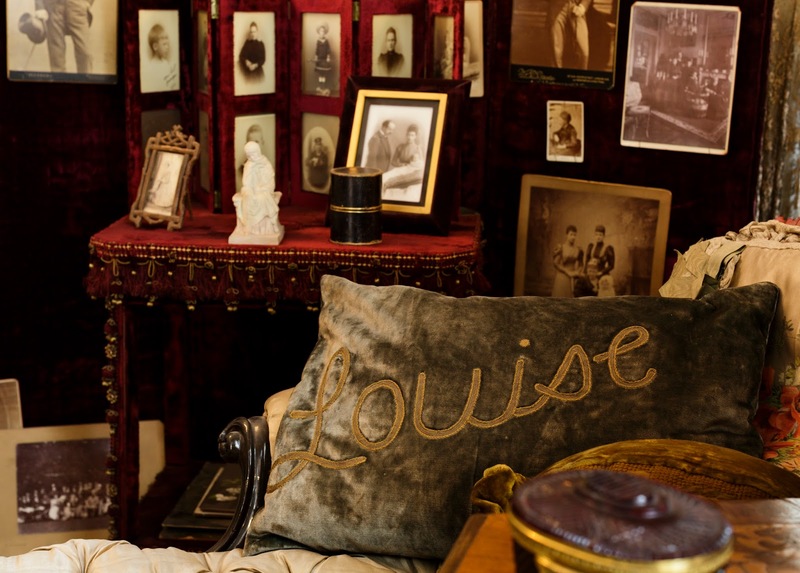 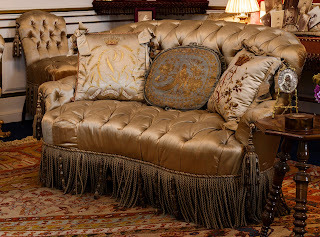 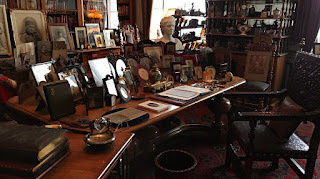 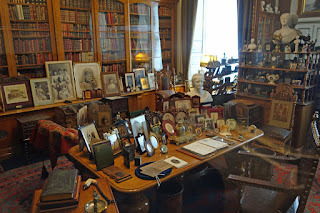 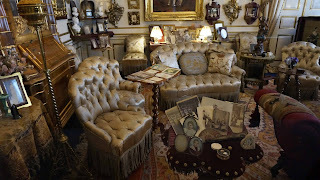 It is difficult to compare the design styles with its cluttered Victoriana of the past and today. 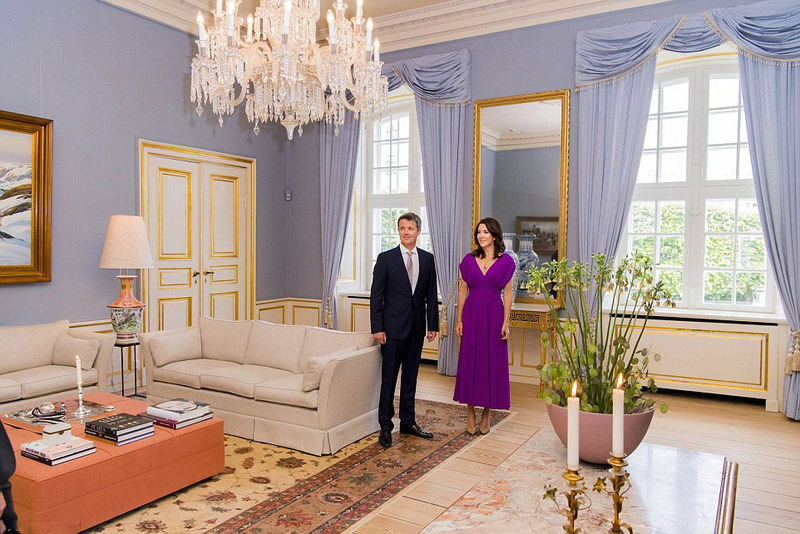 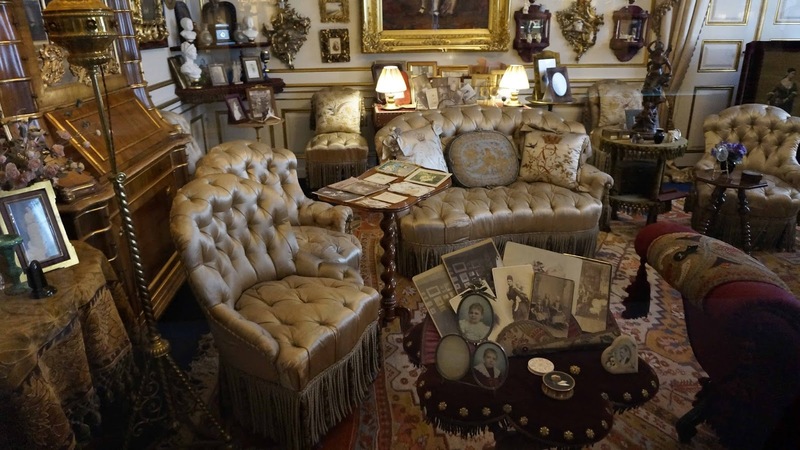 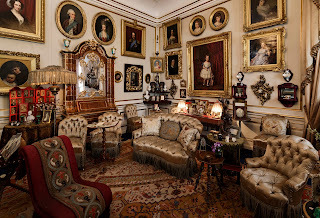 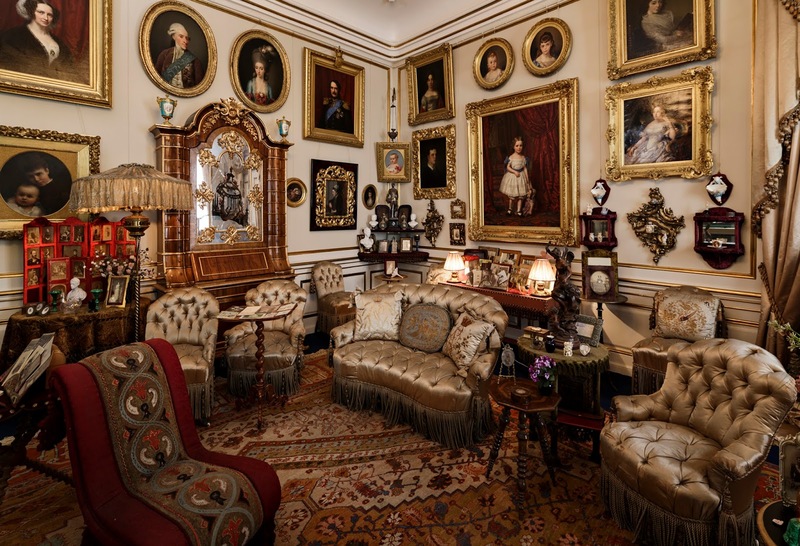 The elegant simplicity and color scheme is beautiful in the photo (below) of the royal couple in their drawing room.